Teacher Edition (C6) — Ukulele in the Classroom / Ukulele Yes! These companion volumes include key points and learning outcomes for each lesson as well as helpful suggestions for extension and enrichment. Student Edition also available. There’s more to a Ukulele in the Classroom lesson than meets the eye. Many features of the Ukulele in the Classroom lessons are only discussed in the Teacher Edition. This keeps students focused on the material at hand and keeps the layout of the Student Editions uncluttered. Having a detailed and easy-to-follow lesson guide at your fingertips will make your learning environment more enjoyable and rewarding. 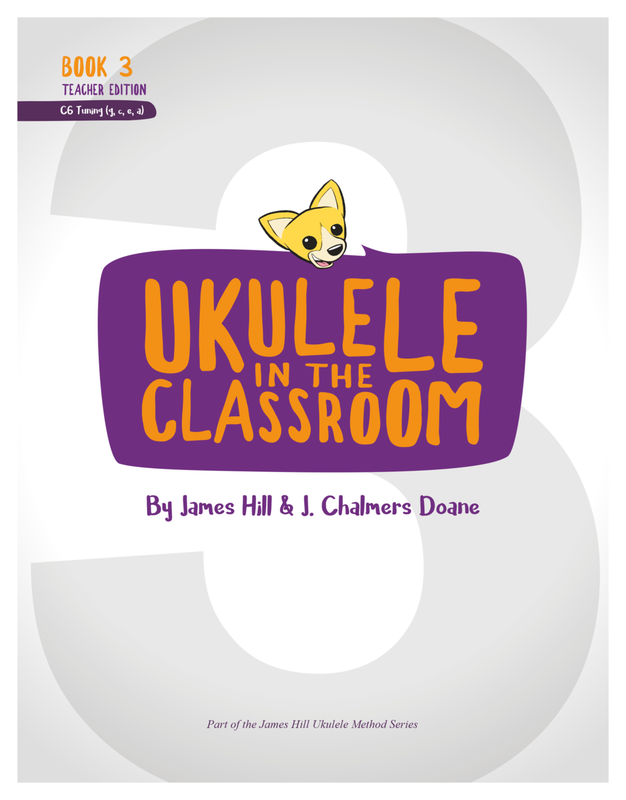 The Teacher Editions are a highly recommended resource for all those using the Ukulele in the Classroom series.